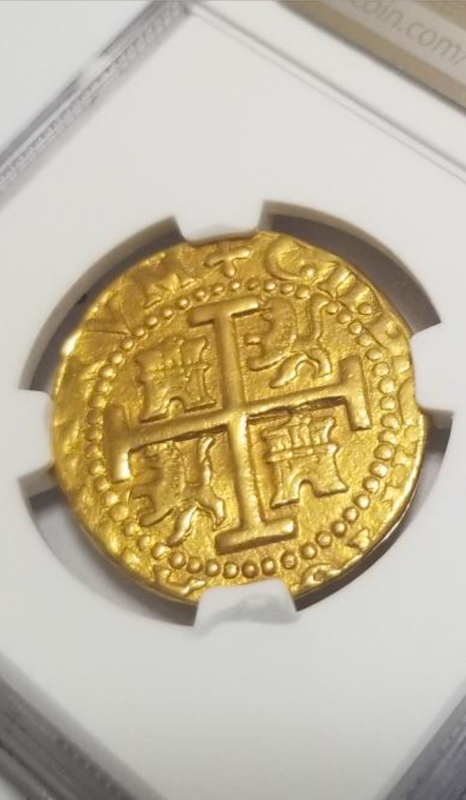 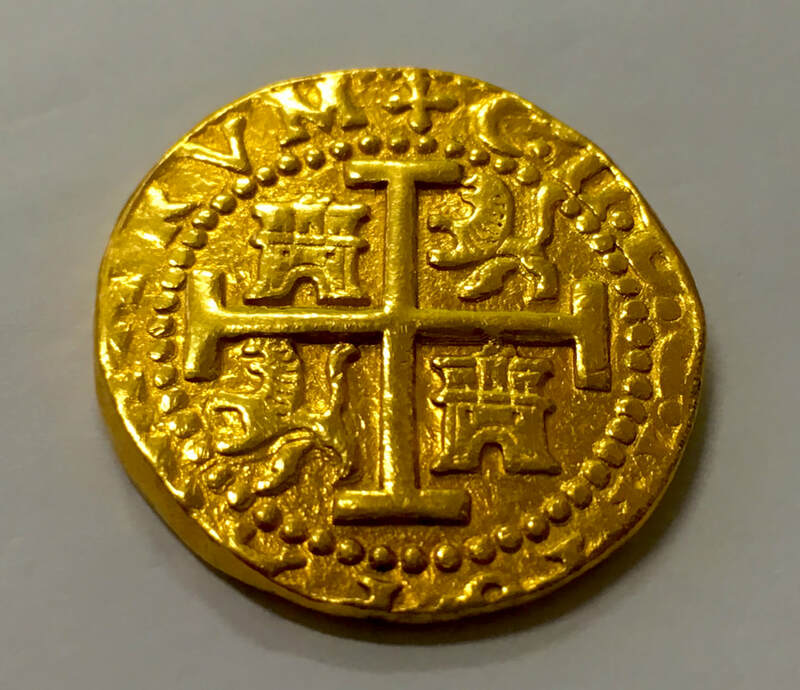 PERU 1700 8 ESCUDOS NGC 1715 FLEET SHIPWRECK PIRATE TREASURE GOLD COIN What an incredibly rare piece, this stunningly bright "Pieces of Eight" of only 3 EVER CERTIFIED!!! 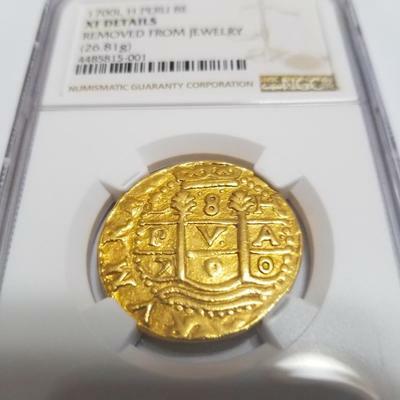 This above average "roundness" of the planchet as well as the strong strike truly makes this piece a Trophy Coin! 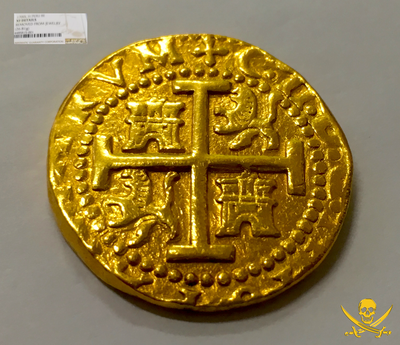 You can see why this piece was previously mounted in a Pendant with it’s incredible strike and well centered details. 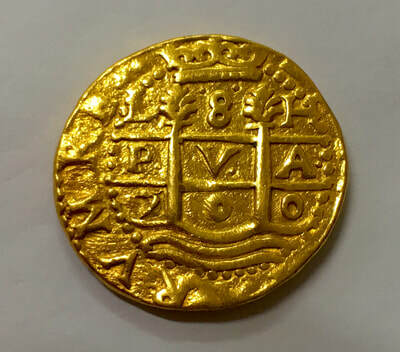 There’s NO NO NO Doubling on this Gold Doubloon (seldom seen). The obverse nearly has a Full Crown, Excellent Pilars and a Perfectly clear DATE, Assayer and Mint marks. 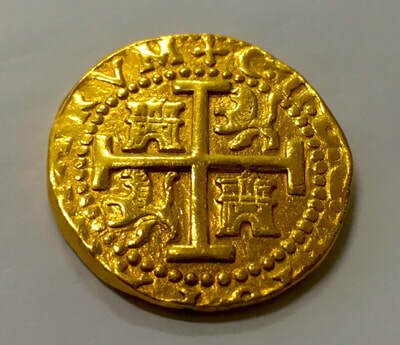 *** Most important, is on the Cross side is the “C.II.” for Charles the II, struck in the same year as his Death! The Lions and Castles (representing the kingdoms of Castile and Leon) are perfectly displayed with No doubling whatesoever, same on the CROSS!!! This incredible Rare piece is great for any date collector or for the most impressive Pendant “Dog Tag” on the Beach!